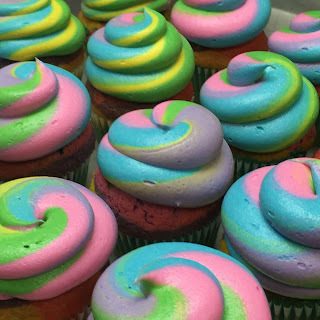 Sometimes, life hands you the tools to make multi-colored cupcakes with rainbow buttercream. something is wrong with you!! How do I get my icing to be these colors? I know with food coloring or gel, but what colors/brand did you use?